If you are on holiday on the Paganella plateau, one of the experiences that you can not miss is an excursion to the mountains, in one of the many chalets in the area! How do you say? You don’t know which one to choose? Then this guide to the 5 most beautiful refuges in the Paganella Ski Area is perfect right for you! 1. Where eagles dare…and skiers! Spectacular views, typical and genuine dishes prepared on site and a glass of good local wine in hand, in the highest refuge of Paganella: we are at La Roda, 2125 meters above sea level! Come to us by cable car during your days of skiing, or for the more sporty type, going up the slopes at night with your alpine skiis to enjoy the sunrise. Whatever your choice, you should come here at least once if you are on holiday in the area. Choose a sunny day, make a stop between a descent and another, admire the view to Lake Garda! If only for an aperitif at high altitude, it will be worth it! 2. The newest, but the most popular! We are talking about the Dosson Refuge, which is located about halfway along the main section of the cable car that leads to the top of the Paganella. It is a recent structure, all in wood and glass, in modern alpine style. Outside, a panoramic terrace overlooking the Brenta Dolomites offers a spectacular view. Recommended for children, outside there is a playground with inflatables and an entertainment staff offering games and activities to your children! 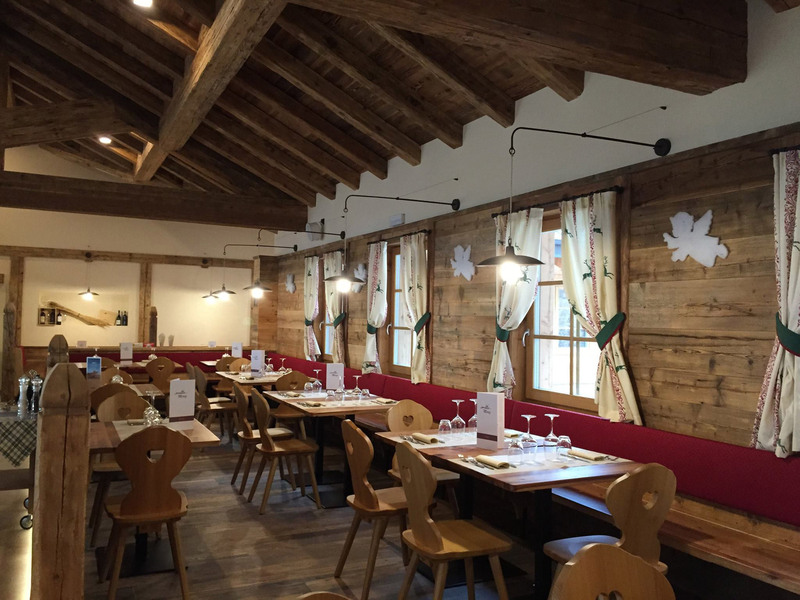 Ideal for a well-deserved rest after a day of skiing, take advantage of it and try the typical Trentino cuisine. 3. Who wants to spend a night in the mountains? 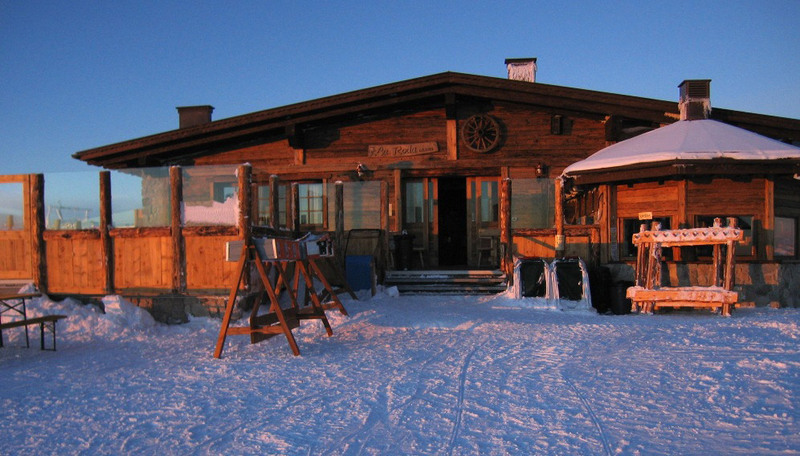 If you are looking for a truer experience, closer to tradition, we suggest you to visit this refuge of Paganella, which is located on the slope overlooking Fai della Paganella at almost 2000 meters above sea level. We are talking about the Dosso Larici refuge, surrounded by fir trees, with a view of the valley below. We strongly recommend an overnight stay, at least for one night! Waking up in the morning, breathing the crisp air and enjoying the first light of dawn at high altitude is an experience that can hardly be repeated! Sempre sul versante di Fai della Paganella, ma più in basso rispetto al Dosso Larici, incontriamo il Rifugio Meriz. Detto anche La Rocca, si trova a quota 1440 metri ed è immerso nella natura. Abeti e larici circondano il rifugio e si inerpicano senza fine sulle pendici della Paganella. Di recente è stato completamente ricostruito, mantenendo però un aspetto tradizionale. Vicino al rifugio, un bike park per l’estate e un area giochi per bambini attiva anche l’inverno. Sosta obbligatoria se state scendendo dalla cima verso Fai della Paganella, fermatevi ad assaggiare i piatti dello chef Lorenzo, e se salite da Fai per andare qui, ricordatevi che il biglietto costa la metà! 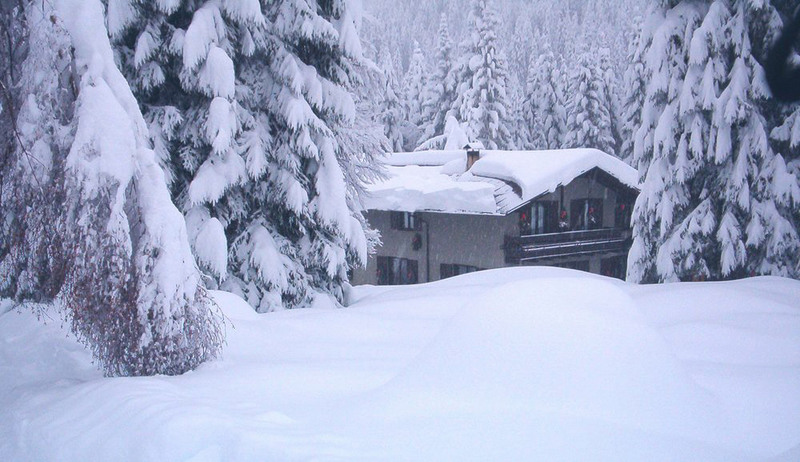 The refuge la Montanara could not miss in this short list of our 5 most beautiful huts between Paganella and Brenta in winter. 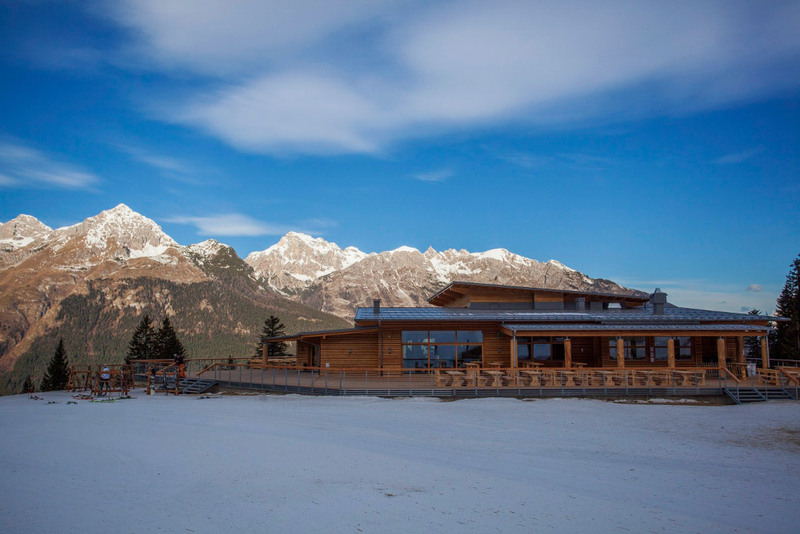 Open throughout the winter, it overlooks in a spectacular way the group of the Brenta Dolomites, with a panoramic view that encompasses the imposing Croz dell’Altissimo and also Lake Molveno. Like the refuge of DossoLarici, also at Montanara you can stay overnight, and few places allow you to wake up to such a spectacular view right outside your window! There are three ways to reach it, at an altitude of 1600 meters. With the cable car, however, open only between Christmas and the Epiphany (in winter!). On foot or with snowshoes both from Andalo and Molveno in about an hour and a half. Or you can opt for the ascent from Andalo with the snowcat and enjoy a fantastic dinner at high altitude!